I’m a sucker for the stories and décor of old homes. My children know that wherever we go, I’m likely to drag them to at least one museum to learn about the history of the area. That’s no different in our hometown. The following is the first in what I hope will be an ongoing series about the historic sites in New York – and beyond. One of the most enduring and patriotic children’s songs, Yankee Doodle, was written in Rensselaer County at the birth of our nation, but it did not start out as a song for children. It didn’t even start out as complimentary of our country. 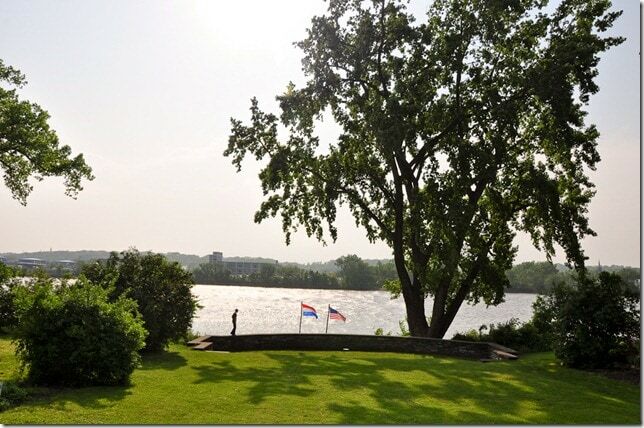 As the story goes, Dr. Richard Shuckburgh, a British army physician, wrote “Yankee Doodle” after “witnessing the sloppy drill and appearance of Connecticut troops” while at Fort Crailo in Rensselaer. 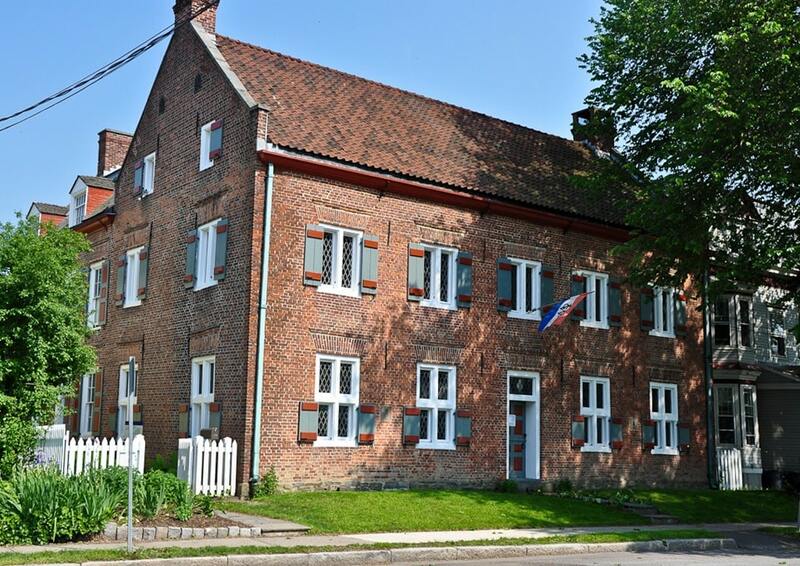 Built in 1704 by Hendrick Van Rensselaer in an area then known as “Greenen Bosch”—”Pine Forest” in Dutch and later corrupted to “Green Bush,” Fort Crailo was never truly a fort so much as a fortified manor home. 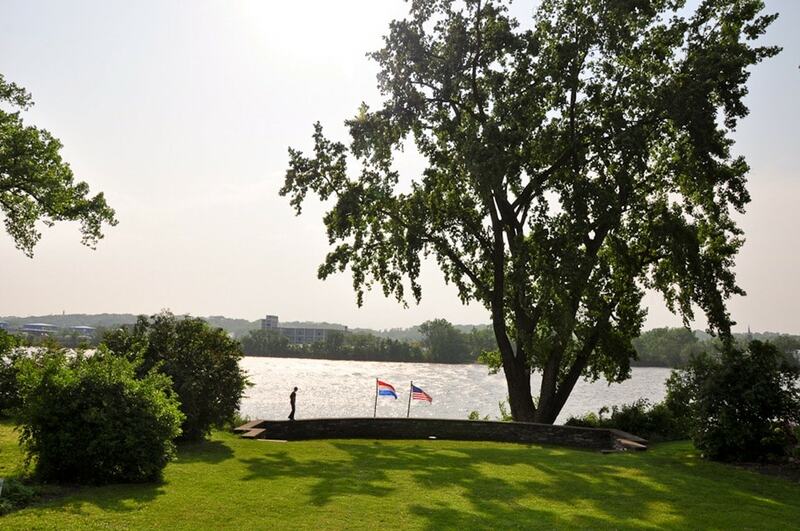 From the exterior, you would never guess that this lovely house, facing a park on the banks of the Hudson River, is built for battle; yet two of the eleven original gun ports used for defense against an attack by a French and Indian war party in 1746 can still be seen on visits to this historic site. Fort Crailo is full of surprises, not least of which are the engaging, world-class exhibits. On a recent visit with 12-year-old Alex, we were greeted by Anya Lee, a doctoral candidate in history, who brought great enthusiasm and insight to descriptions of Dutch colonial culture. 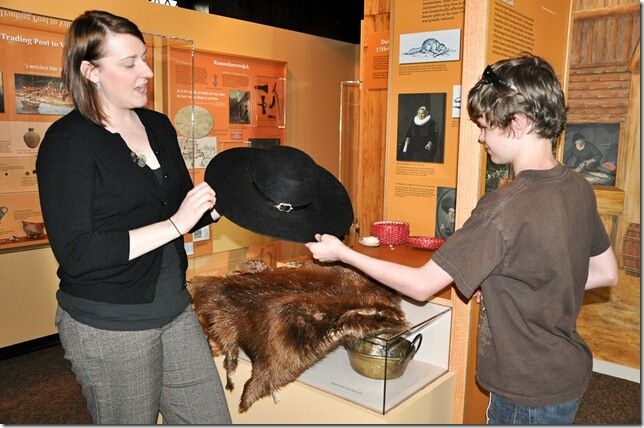 Anya Lee shows a beaver hat and pelt, part of the hands on exhibit illustrating Dutch colonial life. The one-hour tour opened with the arrival of the Dutch in New Amsterdam and quickly veered to tales of piracy, and other spine-tingling adventures. Having captured our imagination, Anya led us to hands-on displays where we could see and touch replicas of colonial artifacts – lots of Dutch pipes! – found on archeological digs in Albany’s Fort Orange excavations. Upstairs, recent restoration has opened up a room fully decorated in period style. Here, Anya explained the odd three-legged chairs and the role of Delft tiles in colonial homes. 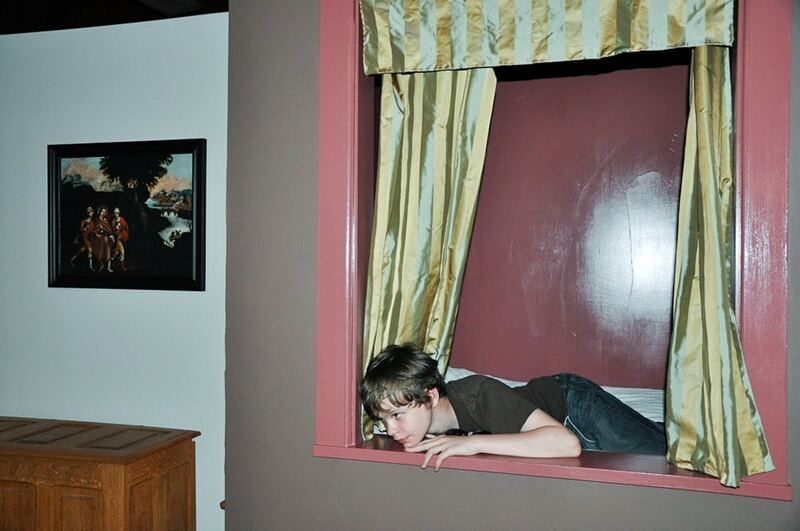 Not that my son paid much attention; he had crawled into the bed, a curtained hidey-hole that is as warm and welcoming now as it was in the 1700s. Our visit was brief but interesting; my only regret was that I had not arranged to attend the hearthside cooking demonstration. That was a lot of fun on a prior visit with my Girl Scout troop, and I’m told, not much has changed. 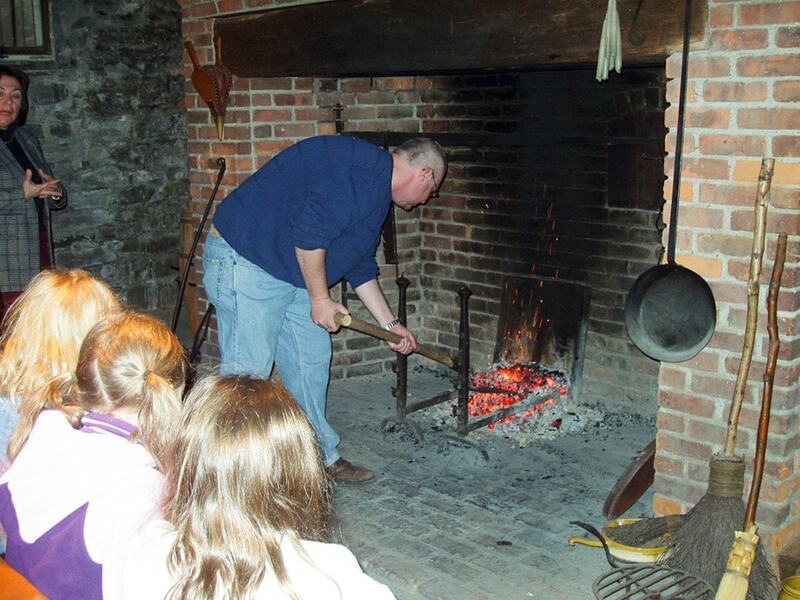 The cooking demonstration is a one-hour program, usually following the tour, which starts with an introduction to colonial ingredients followed by the participants taking turns to help make Seed Cakes, a caraway sugar cookie whose recipe dates back to a contemporary neighbor of the Van Rensselaer family. 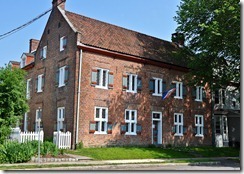 Crailo State Historic Site can be visited year-round by appointment and walk ins are welcome during regular tour hours mid-May-October. A schedule of upcoming special events can be found online at www.nysparks.com. Holiday Ornament Workshop– November 19, 2011. Twelfth Night – January 7, 2011. Disclosure: This article was first published in Greenbush Life on October 6, 2011. Open Wednesday-Sunday from mid-May through the end of October, and by appointment year-round. 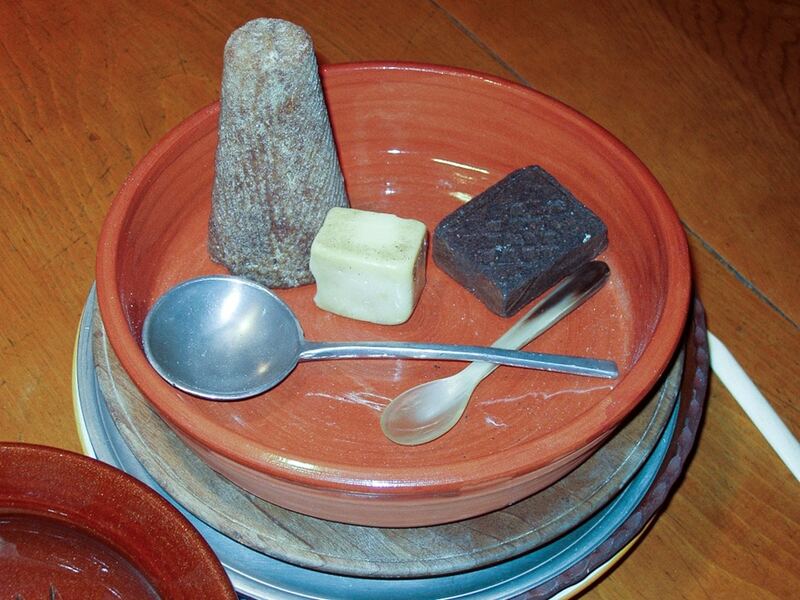 Tours are on the hour – first tour at 11:00AM, last tour at 4:00PM. Fees: $5 Adults, $4 Seniors/Students,Children, 12 and under: Free. Group tours: Bus Group – $4 per person with pre-registration, School Tours – $1 per student. For more information call 463-8738 or go to www.nysparks.com.